The really wanted a beautiful event that was fun and festive. We added two small tents in the backyard with chandeliers. 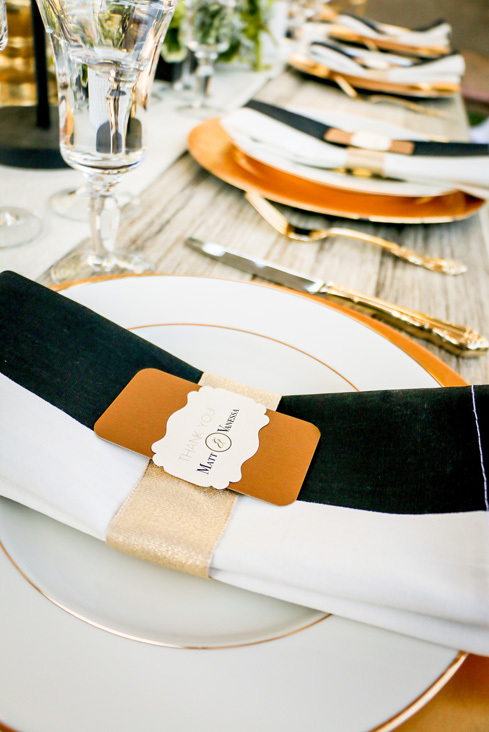 We brought in the same whitewashed farm tables we used at their celebration in December and added round tables with black and white striped linens and vineyard chairs. 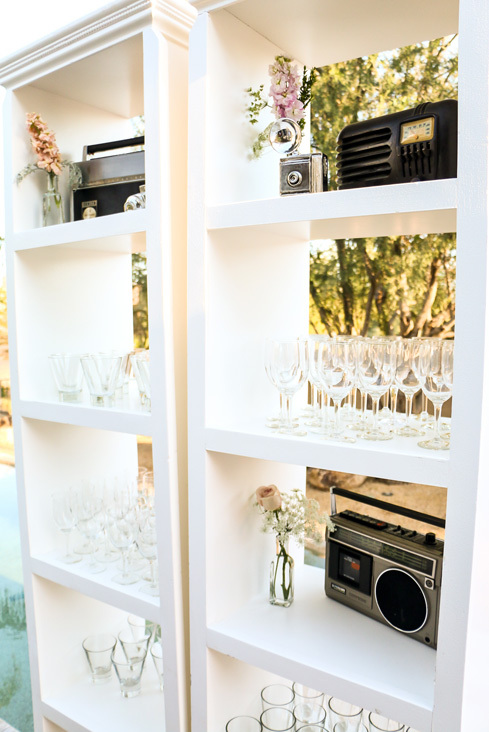 We paneled the front of the white bar with black and gold paper and we brought vintage radios to honor Matt's career as a morning show host for KNIX and vintage cameras for Vanessa. Beautiful pink, green and blush floral arrangements and gold candlesticks were placed on each table. 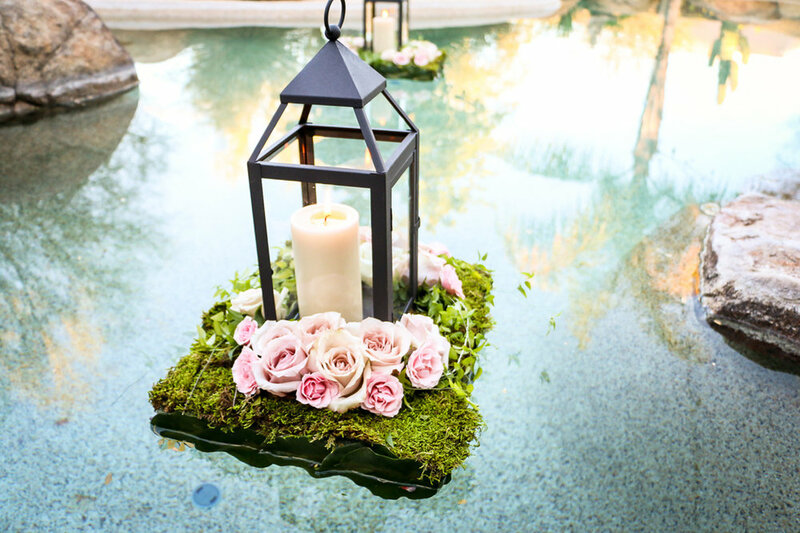 Lanterns and flowers were floated in the pool and string lights created a beautiful glow. The night was festive, fabulous and lots of fun! Congratulations again Vanessa and Matt!